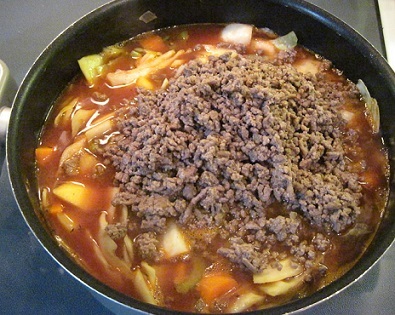 This Beef Vegetable Soup Recipe is one I call Garden Patch Soup. Why is this soup called "Garden Patch?" The soup recipe was developed with several goals in mind. The restaurant wanted to add yet another delicious favorite restaurant soup recipe to its collection of soups to rotate into the daily special sheet. The soup was to be one the restaurant could use "products on hand," no special ordering. And we wanted a soup recipe that would allow us to use up a number of products while still fresh. Hence its name… "Garden Patch." This soup recipe filled the bill and ...most important, it is delicious. 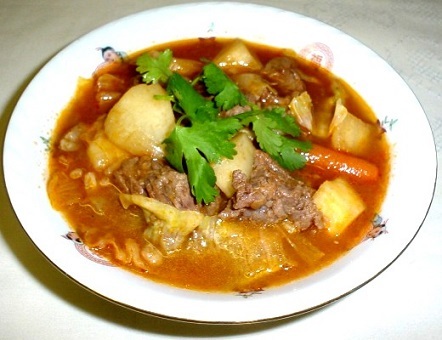 This vegetable - beef soup recipe is one you and your family will really appreciate for its flavor, nutritional value and flexibility in terms of the veggies you use. Enjoy your Vegetable Beef Soup I call Garden Patch Soup and the company of those you share it with! 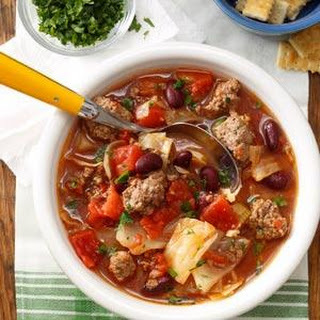 "An old-fashioned vegetable soup is a more powerful anti-carcinogen than any known medicine."